Eczema / Psoriasis Cream with amaranth oil 5AM Provisions, Inc. The most powerful and effective way to treat Eczema, Psoriasis, Rosacea, and Dermatitis. Super moisturizing with the help of amaranth oil! INGREDIENTS: Purified Water, Organic Aloe Vera, Refined Shea Butter, Unrefined West African Shea Butter, Amaranth Oil, High Oleic Organic Safflower Oil, Colloidal Silver, Vegetable Glycerin, Essential Oil blend: Lavender, Chamomile, Peppermint, and Tangarine. Honey, Algin, Carrot Seed Oil, Sweet Almond Oil, Avocado Oil, Castor Oil, Extracts of: Calendula, Comfrey, Rosemary, Green Tea, and Burdock. Xanthan, Preservative*, Titanium Dioxide, MSM, Soy Lecithin, Wheat Germ Oil, Ascorbyl Palmitate, Rosemary Oleoresin Extract, Vitamin E Oil. Our Skin Repair Cream immediately alleviates extremely dry and irritated skin and not only reduces pain, improves cracked or itchy skin, but also is a long term solution for ECZEMA, ROSACEA, PSORIASIS, DERMATITIS. These two skin conditions with very similar symptoms can be prevented and permanently cured due to Skin Repair Cream’s ability to immediately relief itchiness and enhancing a dry and sensitive skin. This trait is particularly because amaranth oil penetrates the skin quickly and delivers abundant squalene, essential fatty acids, and vitamins to your skin. While the Skin Repair Cream is mainly composed of the highest quality natural oils, it is not nearly as greasy as one might imagine. In fact, this cream is almost entirely absorbed by the skin once it is massaged onto the surface and reveals a smoother, healthier, and younger skin. Unlike most skin products in the market, our Skin Repair Cream is composed of 99.6% natural ingredients and free of all and any harsh chemicals and artificial fragrances. The composition of this cream from all natural ingredients such as Shea Butter, Amaranth Oil, Aloe Vera, and Safflower Oil, makes it a safe product to use for all skin types on face, body and even the scalp. Despite our Skin Repair Cream’s enrichment with entirely natural ingredients, it is extremely light and easy to spread on the skin’s surface without closing the pores. This quality makes the overnight application of this cream as well as daily application very desirable for curing irritation of follicles common to rosacea condition. Moreover, Amaranth oil in this Cream enhances skin’s immune response against Demodex mites in rosacea patients. Long term relief against dermatitis symptoms are only another function of Skin Repair Cream, protecting dermatitis patients against irritants and allergens such as poison ivy, cleaning products, and jewelry containing nickel, perfumes, and preservatives used in cosmetics. Consistent application of our Skin Repair Cream enhances and revitalizes extremely dry and the most common and acute skin conditions by stimulating cell growth. The essential oils in the Cream are combined with Vitamin E to provide essential minerals such as Zinc, Sulfur, and Selenium which works to prevent acne, provide antioxidant, and fight off free radicals. All the while, fresh mint and honey component works to cleanse and tighten skin pores, due to its antiseptic effect (reducing possibility of infection) by curing infection, reducing pimples and relieving acne symptoms. With the highest amount of squalene as well as fatty acids and B vitamins, Amaranth Oil in our Cream functions as an effective anti-inflammatory against eczema and psoriasis. Its anti-allergic component improves skin’s immune response to common skin bacteria in dermatitis and the remarkable ability to help the skin retain water, gives your skin a rejuvenated and youthful glow. It also fights DNA-damaging free radicals and strengthens skin cell membranes. Famously known as an effective antioxidant, Aloe Vera contains vitamins A, C and E and is high in calcium, zinc, selenium, and magnesium. This nature made moisturizer immediately acts a safeguard for against itchiness, scaly, and sunburns. The healing properties of Aloe Vera reduce the pain and inflammation due to sun burn by restoring skin’s natural moisture. Also rich in antioxidants, vitamins A and E, Shea Butter stimulates cell repair and heals extremely calloused and damaged skin, sunburns, insect bites, frost bites, blemishes, and small skin wounds. 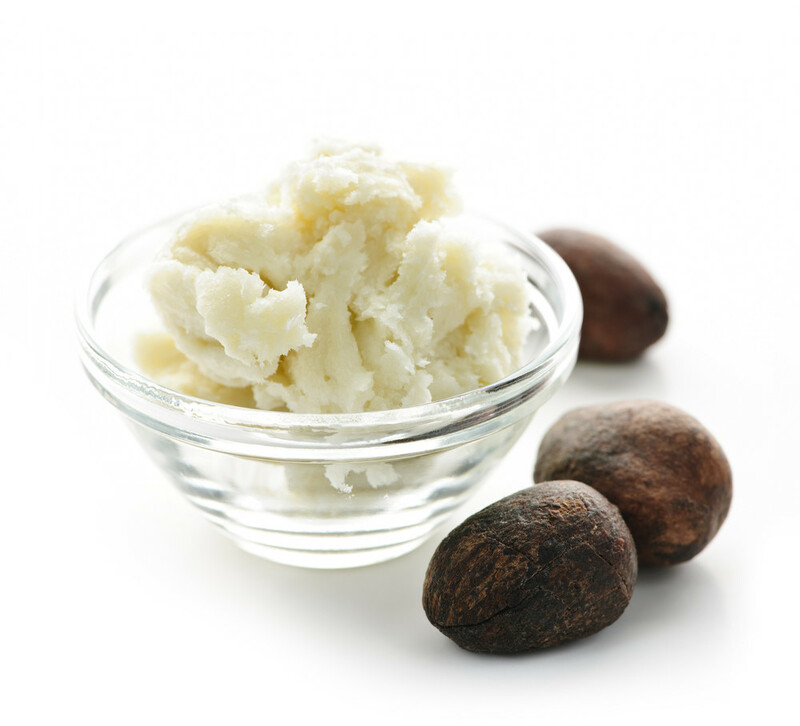 Shea Butter also reduces inflammation while relieving itchiness and providing natural glow and moisture to epidermis. A most popular solution for weight loss, reducing cholesterol level and manage blood sugar, Safflower Oil is also commonly used to enhance skin regeneration. Safflower Oil has high contents of omega-6 fatty acids (linoleic acids) which is directly responsible for balancing the cholesterol level and preventing atherosclerosis (clogged arteries), and diabetes. The high amount of linoleic acid is ideal for treating several skin conditions as it stimulates cell regeneration without clogging up the pores, leaving your skin with a healthier and more attractive glow. Avocado Oil has the remarkable ability to generate collagen on your skin, shield against age-related wrinkles and fine lines. Similar to Amaranth Oil, Avocado Oil has the ability to retain high amounts of water in the skin and acting as a natural moisturizer, nature’s perfect remedy for healing rashes caused by diapers in newborns, burns, and wounds in a short amount of time. A liquid, melted, vegetable wax, Jojoba Oil is the only oil that most closely resembles sebum naturally produced in the human body. The sebum in Jojoba Oil produces additional oil glands below the skin surface. When combined with other essential oils, Jojoba Oil’s functions as anti-inflammatory and anti-bacterial in curing acne and pimple formation by killing bacteria while regenerating new cells and healing the scars. In fact, its anti-bacterial effect is so powerful that it is used as a fungicide. Jojoba Oil tricks the skin into believing it has produced enough sebum, hence decreasing production of sedum and fighting off gland secretions that causes acnes. Methylsulfonylmethane is an organic sulfur compound that is naturally derived during earth’s rain cycle. MSM’s ability to produce collagen has lead to an exponentially increase in production and use in anti-aging products. MSM works along with vitamin C to accelerate healing of sagging, dry, and cracked skin. Once it is absorbed by the skin, MSM exceptional ability to allow metabolic wastes to be removed from the cell, makes it an ideal anti-aging product. Do you have more questions? Check out our Skin Repair Cream FAQs.